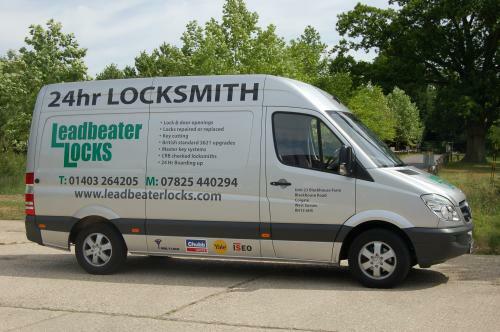 Leadbeater Locks is a Horsham based company and specialises in lock repairs and replacements including Mul-T-Lock, Chubb & Yale among others. Our new fully equipped showroom is now open offering everything relating to locks, safes, door furniture & key cutting. Leadbeater Locks offers: lock repairs and upgrades, emergency door openings, keys cut to code, locks keyed alike, key cutting, door furniture and a full mobile service. All locksmiths are CRB checked so you can be assured of a safe and secure service. The company has a fully equipped mobile service including emergency lock outs, lock changes and upgrades and key cutting on site. The company also stocks a wide range of Carlisle Brass, M Marcus, Heritage Brass & Karcher Design door handles. Leadbeater Locks covers the following areas: Horsham, South Water, Billingshurst, Cowfold, Crawley, Dorking and Warnham. For further information, please use the above contact details.